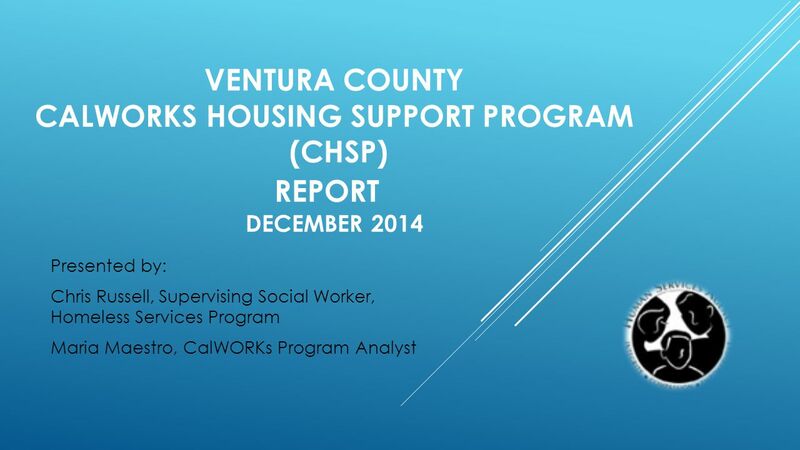 VENTURA COUNTY CALWORKS HOUSING SUPPORT PROGRAM (CHSP) REPORT DECEMBER 2014 Presented by: Chris Russell, Supervising Social Worker, Homeless Services Program. 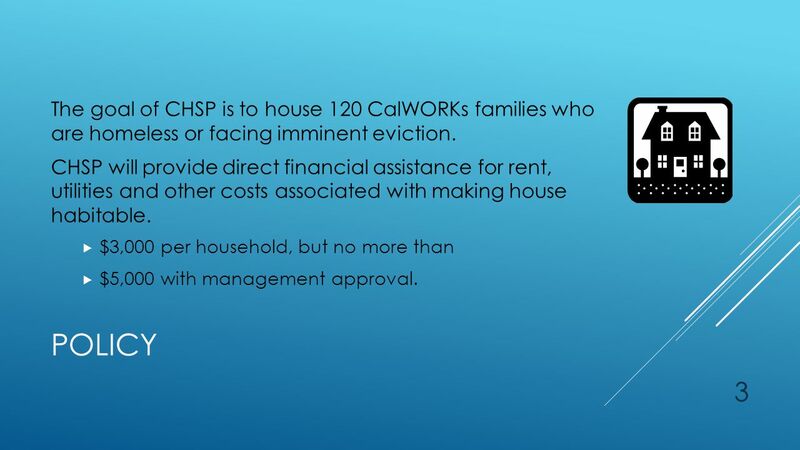 3 3 POLICY The goal of CHSP is to house 120 CalWORKs families who are homeless or facing imminent eviction. 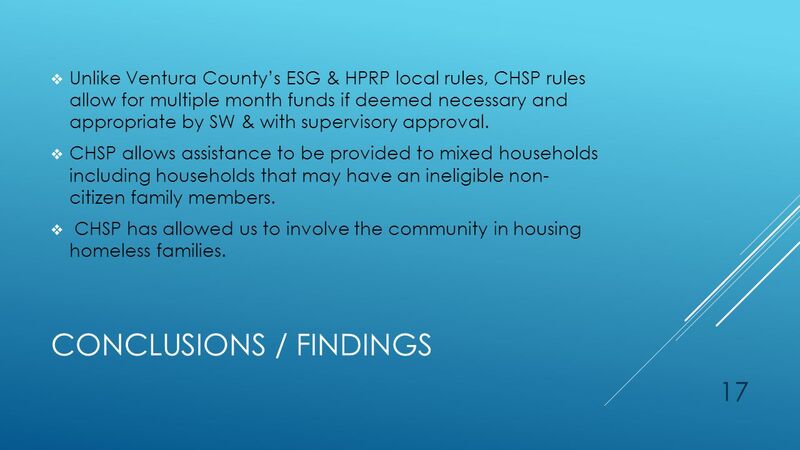 CHSP will provide direct financial assistance for rent, utilities and other costs associated with making house habitable. 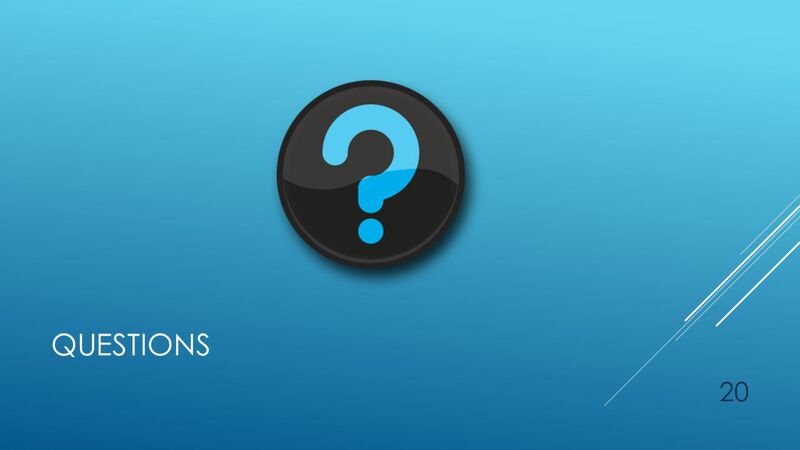  $3,000 per household, but no more than  $5,000 with management approval. 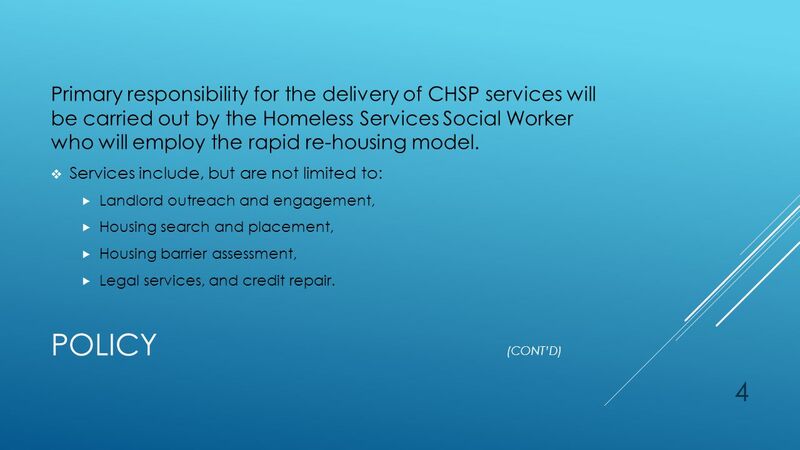 4 4 POLICY (CONT’D) Primary responsibility for the delivery of CHSP services will be carried out by the Homeless Services Social Worker who will employ the rapid re-housing model. 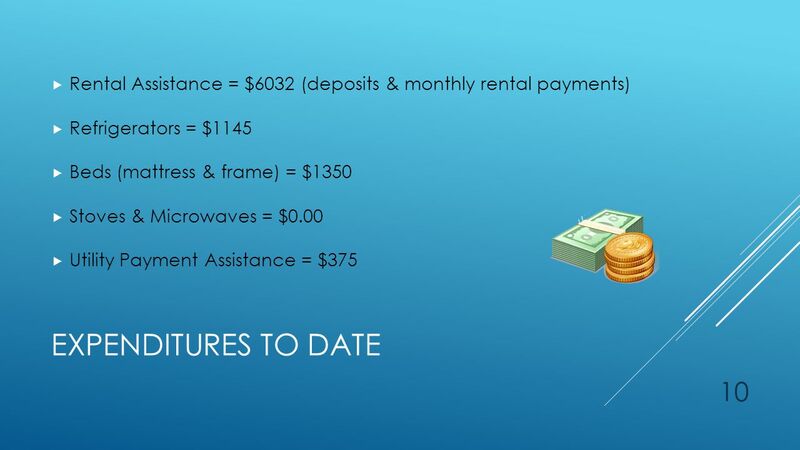  Services include, but are not limited to:  Landlord outreach and engagement,  Housing search and placement,  Housing barrier assessment,  Legal services, and credit repair. 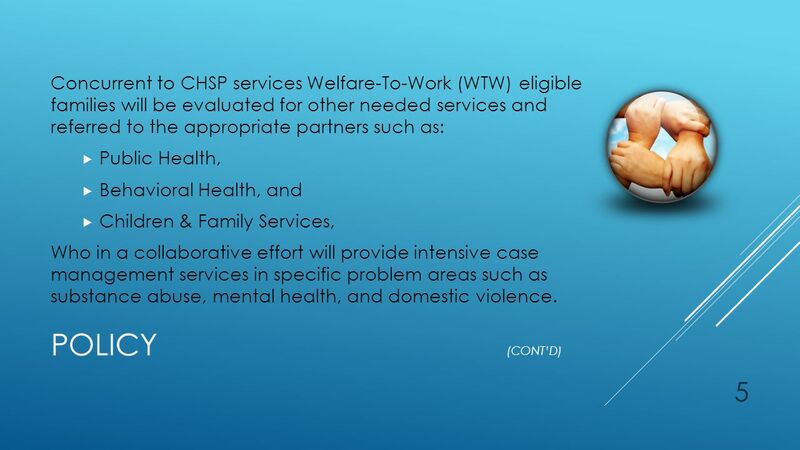 5 5 POLICY (CONT’D) Concurrent to CHSP services Welfare-To-Work (WTW) eligible families will be evaluated for other needed services and referred to the appropriate partners such as:  Public Health,  Behavioral Health, and  Children & Family Services, Who in a collaborative effort will provide intensive case management services in specific problem areas such as substance abuse, mental health, and domestic violence. 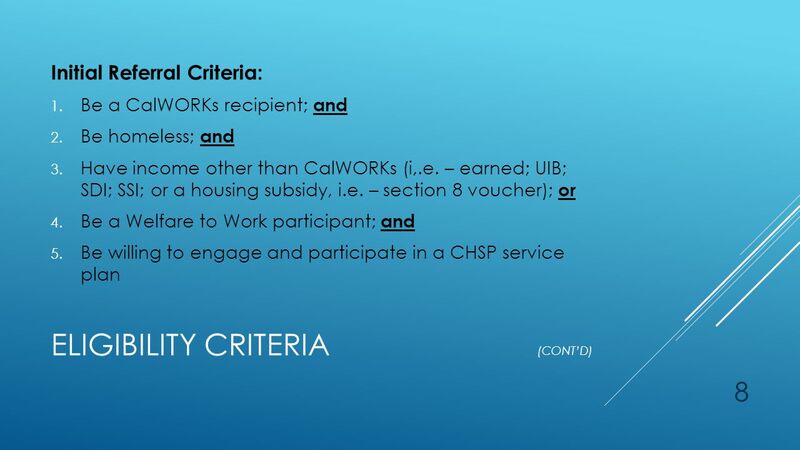 6 6 POLICY (CONT’D)  This new housing program is a separate program available to all CalWORKs recipients regardless of whether they have received other housing and/or homeless programs in the past. 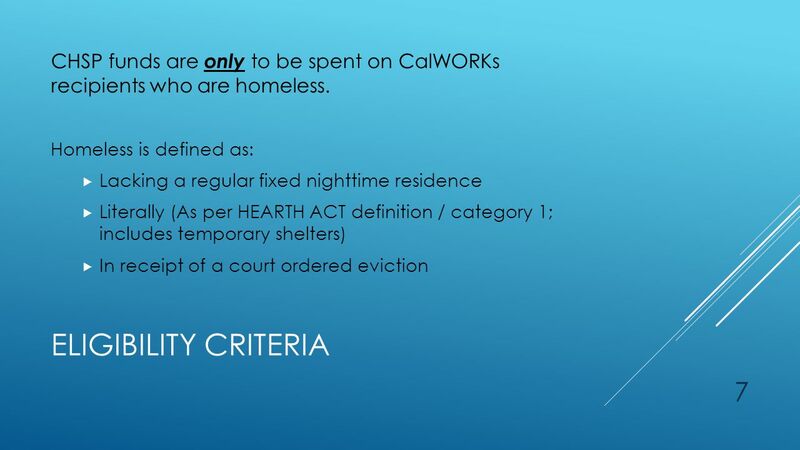  All CalWORKs recipients identified as homeless or facing imminent eviction due to a court ordered eviction must be screened for potential CHSP eligibility. 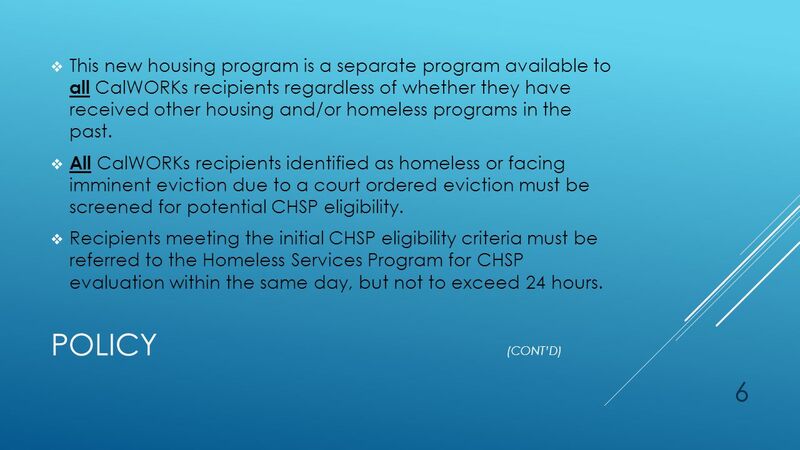  Recipients meeting the initial CHSP eligibility criteria must be referred to the Homeless Services Program for CHSP evaluation within the same day, but not to exceed 24 hours. 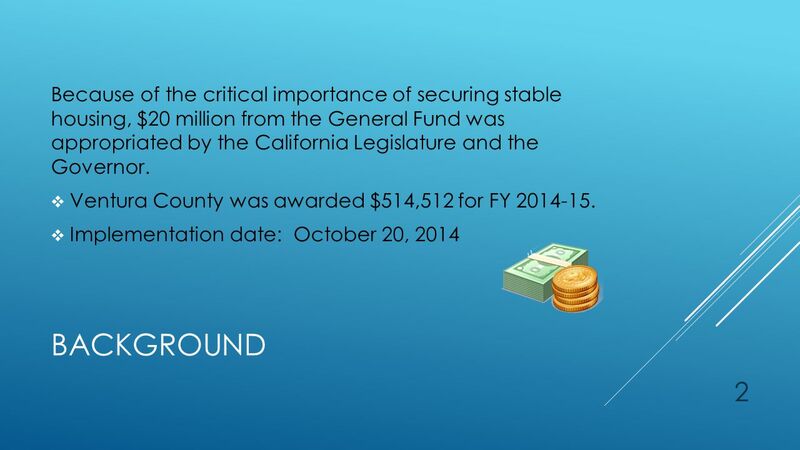 Download ppt "VENTURA COUNTY CALWORKS HOUSING SUPPORT PROGRAM (CHSP) REPORT DECEMBER 2014 Presented by: Chris Russell, Supervising Social Worker, Homeless Services Program." 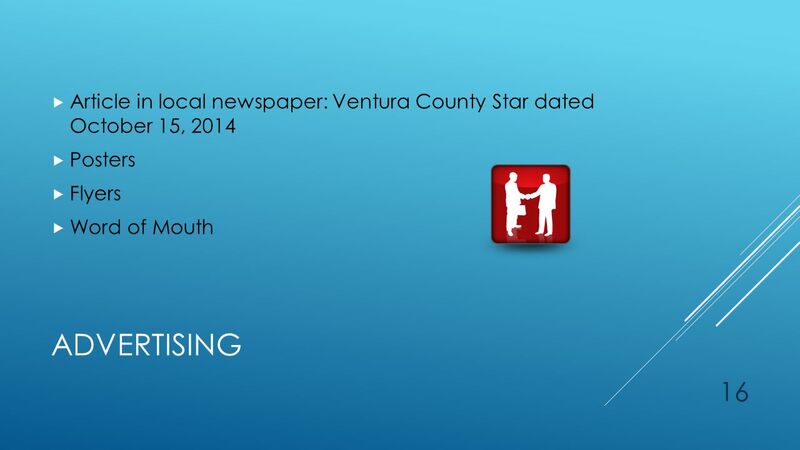 Child Protective Services Enhanced Perinatal Surveillance May 30, 2007. Child Care Subsidy Data and Measurement Challenges 1 Study of the Effects of Enhanced Subsidy Eligibility Policies In Illinois Data Collection and Measurement. Life After HPRP Barbara Poppe, Executive Director, USICH March 26, 2012. 1 Support Services Agency for Workforce Innovation August 2007. Rapid Rehousing Using HPRP and TANF Funds VA Conference on Supportive Services for Veteran Families (SSVF), Los Angeles, CA August 16, 2011. 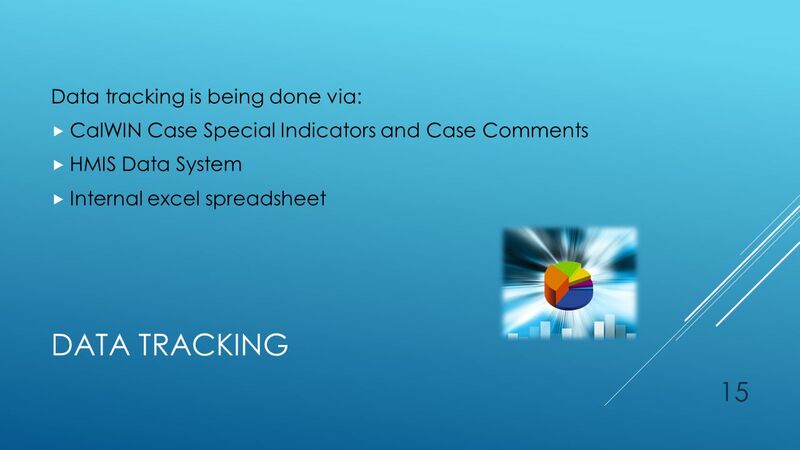 HEARTH Webinar Part II This is Part II of the webinar providing an overview of the local implementation of the HEARTH Act. 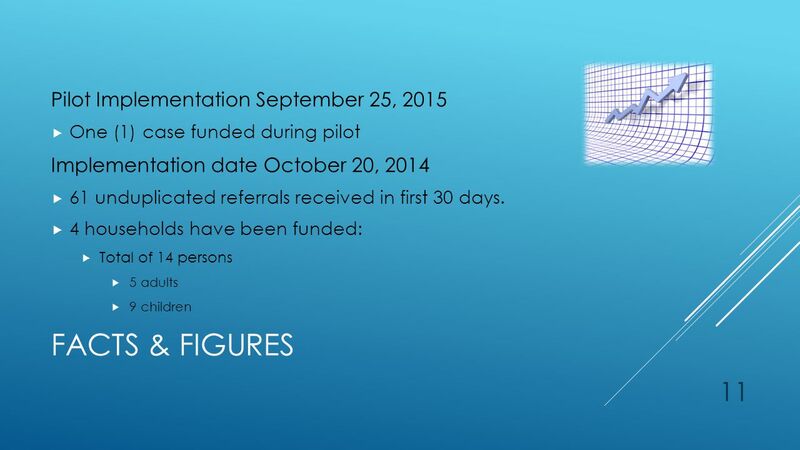 Thank you for watching, the. 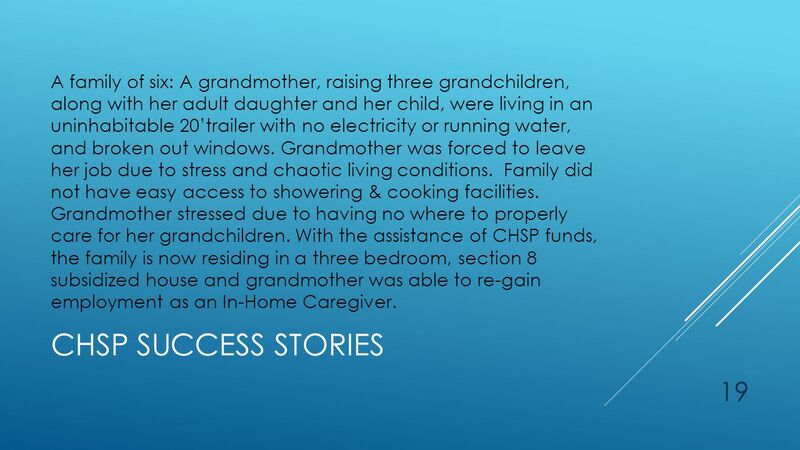 Division of Family Development (DFD) NJ Department of Human Services. 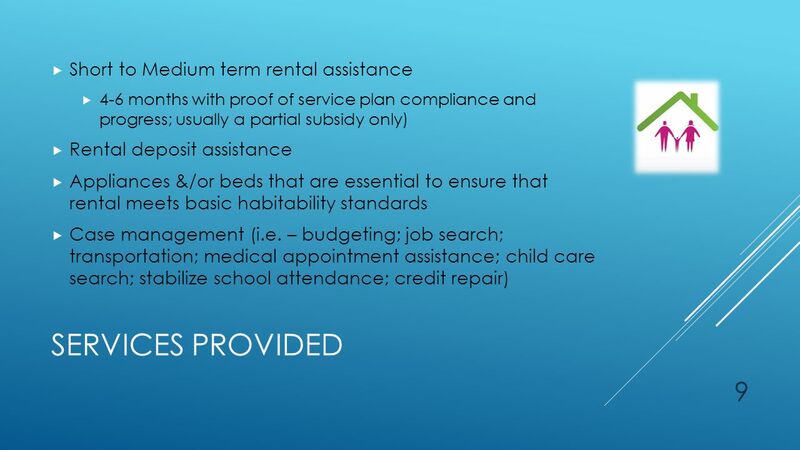 Housing Broker Team Norfolk, Virginia Central Intake 1.In 2007, the City of Norfolk launched a Central Intake program as part of its Housing First. 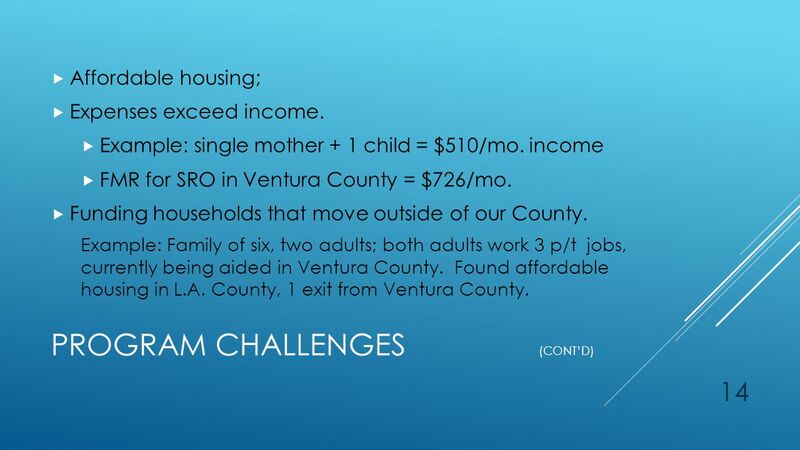 THE COUNTY OF MADERA, CA THE FRONT DOOR A COST EFFECTIVE STRATEGY TO HELP FAMILIES EXIT OR AVOID HOMELESSNESS AND RETAIN PERMANENT HOUSING CALWORKS HOUSING. Outreach Direct Calls: Referrals Outreach Not For Profit Agencies DSHS Mental Health Providers Congregations School Districts. 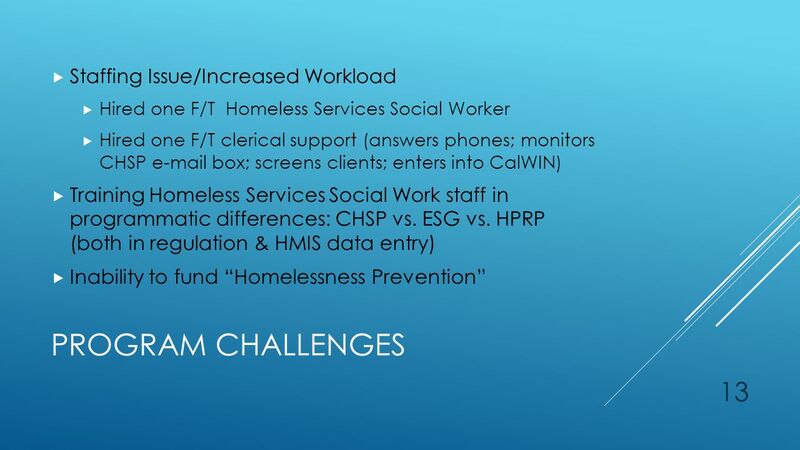 Homelessness in Marin Presented by the Homeforall Speakers Bureau.